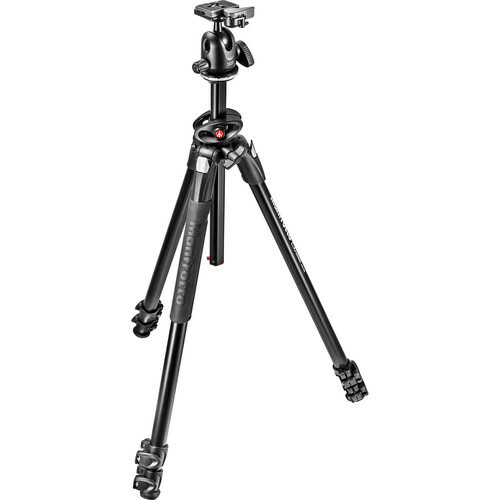 The black, MT190CXPRO4 Carbon Fiber Tripod from Manfrotto builds on the success and popularity of the previous 190 series with professional hardware and convenience features that make it even easier to use than its predecessor. 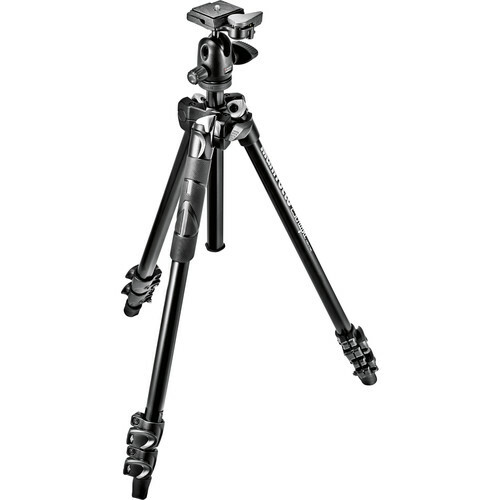 When the three leg sections and center column are fully extended, the tripod reaches a maximum height of 63″, and its load capacity of 15.4 lb makes it a good choice for larger cameras. 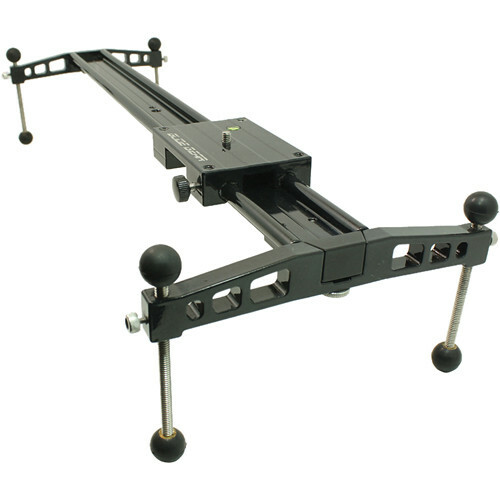 The tripod weighs 3.6 lb, and folds down to 20.6″ for transport. 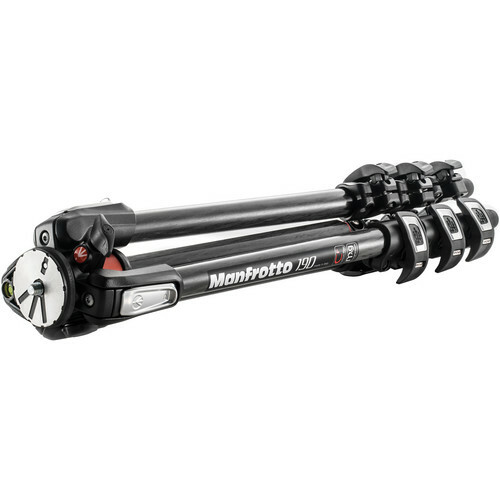 Set up is faster than ever with Manfrotto’s Quick Power Lock System that allows you to completely extend the tripod legs with just one hand. 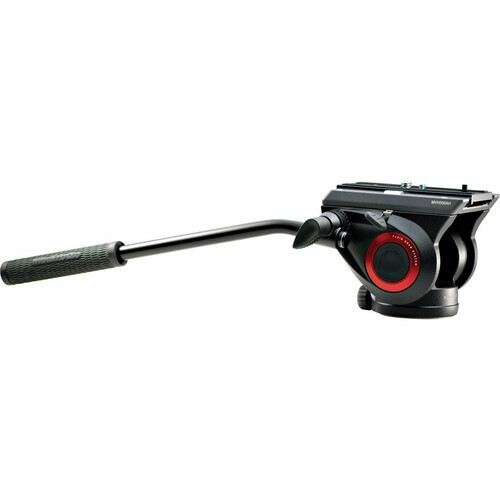 Once set up you can use the MT190CXPRO4’s rapid center column in standard vertical mode or swing it into horizontal position like a boom with Manfrotto’s 90° Column feature. Enlarged tabs on the individual leg angle selectors allow you to get down to only 3.2″ for macro work with the column in horizontal mode. 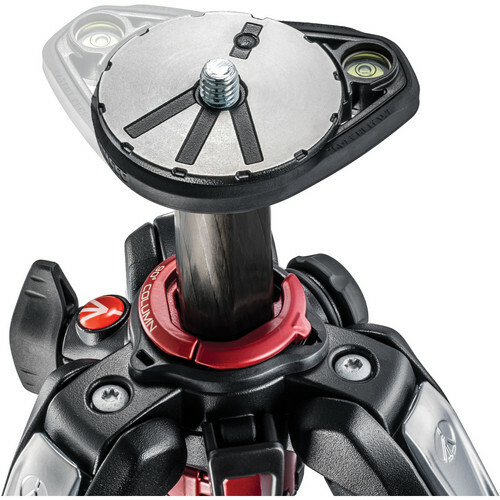 And once you’re down there you can attach any of Manfrotto’s flexible or articulated arms to hold lights or reflectors via the Easy Link plug built into the tripod’s spider. Convenience features include a bubble level that rotates so that you can see it easily regardless of the tripod’s position. 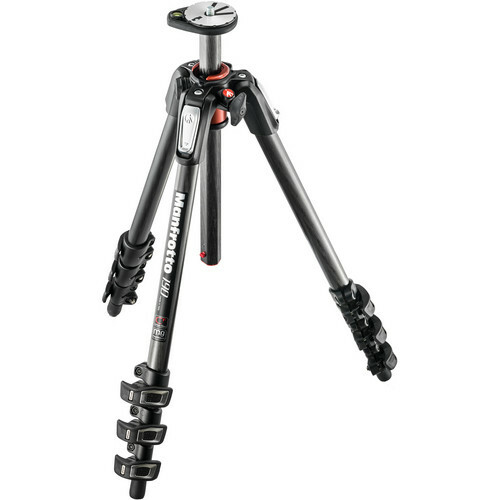 Finally, Manfrotto’s insistence on form following function has yielded a tripod that you’ll not only be happy to use but you’ll be happy to be seen with, too.